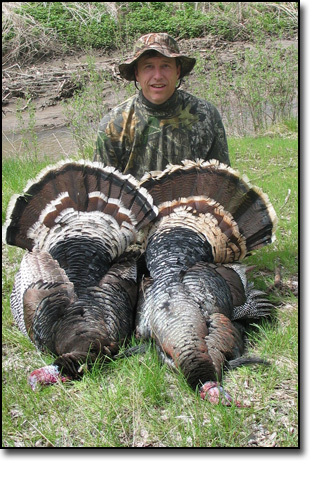 At Gobble n Grunt Outfitters we are results oriented. Hunting is hunting, and just like in life, there are no guarantees, however, we believe that results should speak for themselves, therefore, we encourage you to contact the many satisfied friends that have hunted with us. They are our best salesmen. Please be sure to take time zones into consideration when calling. 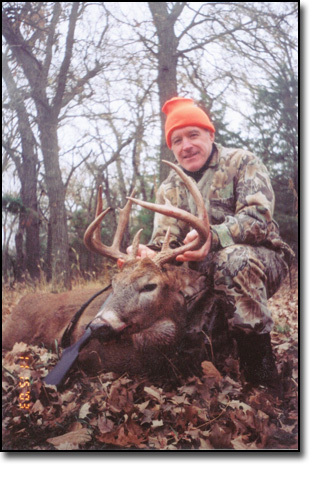 I love to hunt whitetails and although I have the opportunity to hunt them in many states, I always look forward to my annual archery hunt in Nebraska with Gobble n Grunt Outfitters. 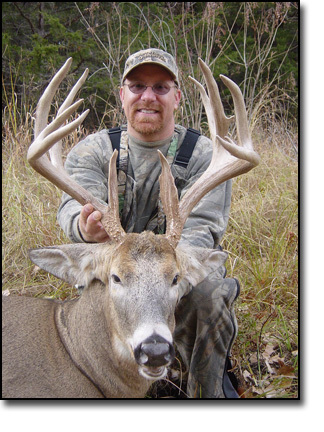 An outstanding camp with an outstanding staff and tens of thousands of acres of beautiful unpressured whitetail country. But, best of all, I've taken some of my biggest bucks with Gobble n Grunt. 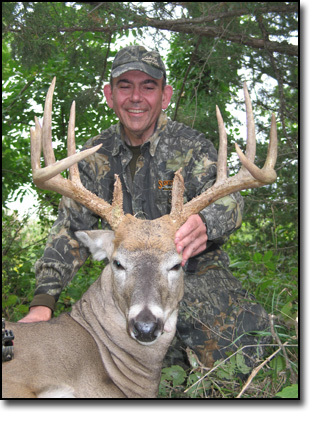 Including my best to date a 171' archery buck. First let me thank you again for one of the most exciting hunts I have ever experienced. 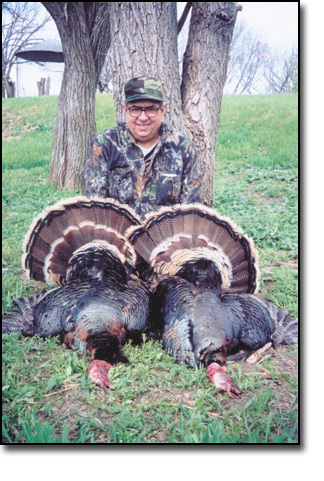 Having an opportunity to harvest two long beard merriam toms within second is a memory I will long cherish. 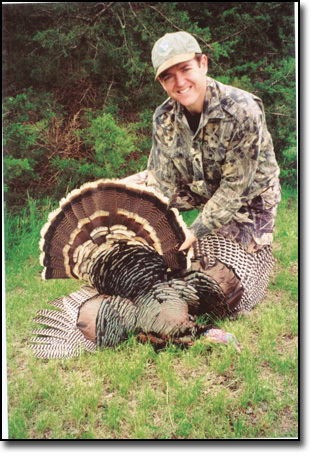 I have done a good deal of turkey hunting and that was my first opportunity of that nature as well as my first merriams birds." My 2007 hunt was fantastic. the Gobble n Grunt guides worked hard to get me on deer. They scouted and set stands every day to stay with the buck bachelor groups. The result was the largest buck of my life. Thanks for a great hunt! Your staff were very accomodating and put in a lot of effort. To top it off, man do you guys have the turkeys. Two birds coming in spitting and drumming and culminating in shots at 17 and 20 yards! One of the best hunts I've ever had. “Great stuff and thanks again for everything. My taxidermist, who is nationally recognized Shane Smith, said that the bird I brought him was the largest Merriam’s he had ever seen. The bird weighed almost 23 lbs and had an 11 inch beard. The spurs were true “hooks. Nice!" 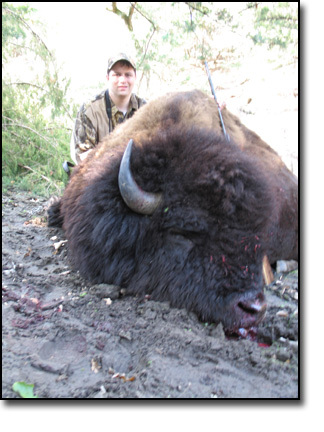 This is a great recreation hunt that allows for hunting of bison in their native range. The hunt takes place on a large ranch and the bison are anything but tame. I highly recommend this hunt with a wonderful outfitter and group of guides. 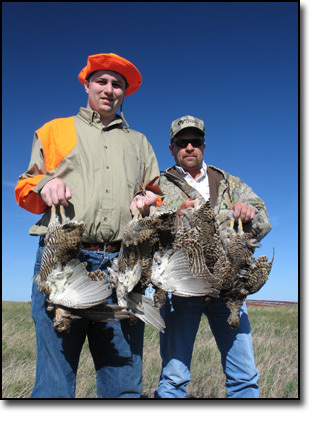 Prairie King's praire chicken hunt offers an opportunity to hunt these birds in relatively high densities. This a very fun hunt and is highly recommended. 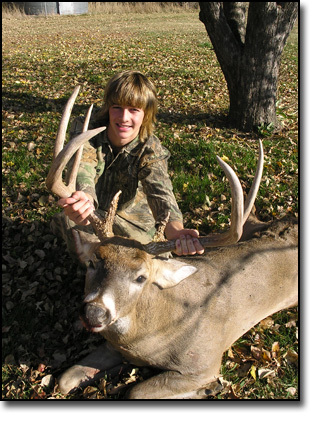 To see live testimonials of our hunts, go the the video cilps page.